lined up over the next two months. Saturday, 9 February, from 9:00 a.m. to 3:00 p.m.
Sunday, 10 February, from 11:00 a.m. to 3:00 p.m.
Fine jewelry and other select items not on site until Saturday. Cash only on fine jewelry and luxury handbags. Security on site throughout sale. OF THIS NORTHWEST OKLAHOMA CITY ESTATE SALE. for a large consignment auction to be held 23 March. All lots must be consigned no later than 20 February. has an exhibition of Native American artwork entitled “American Indian Art: 20th Century Masters” currently running. Explore early artists such as The Kiowa Six, Tonita Peña, Harrison Begay and the institutions that influenced them — particularly The University of Oklahoma and The Santa Fe Indian School. or early March, and it will be a “no purses, no bags, no boxes” sale. Friday, 1 February, from 9:30 a.m. to 4:00 p.m.
Saturday, 2 February, from 9:30 a.m. to 4:00 p.m.
Sunday, 3 February, from 10:00 a.m. to 1:00 p.m. Select items not on site until Friday. OF THIS ESTATE SALE IN THE VILLAGE. on Saturday, 2 February, Sunday, 3 February, and Monday, 4 February. Please inspect your purchases with care, as all sales will be absolute and final. Brian will, as always, release the sale’s address on Friday. lined up for February and March. 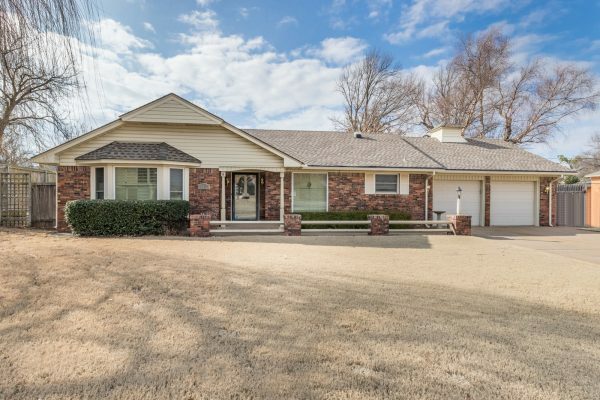 Saturday, 26 January, from 9:00 a.m. to 3:00 p.m.
Sunday, 27 January, from 10:00 a.m. to 3:00 p.m.
CLICK HERE TO SEE PREVIEW PICS OF THIS EDMOND ESTATE SALE. Saturday, 26 January, from 10:00 a.m. to 4:00 p.m.
Sunday, 27 January, from 10:00 a.m. to 4:00 p.m.
ReMax agent Norma Cokely will have the listing. (There are four pages of preview pics. this southwestern Oklahoma City estate sale. Brian will release the address on Friday. Friday, 25 January, from 9:00 a.m. to 3:00 p.m.
Saturday, 27 January, from 9:00 a.m. to 4:00 p.m.
CLICK HERE TO SEE PREVIEW PICS OF THIS YUKON ESTATE SALE. Friday, 25 January, from 9:00 a.m. to 4:00 p.m.
Saturday, 26 January, from 9:00 a.m. to 4:00 p.m.
Sunday, 27 January, from 1:00 p.m. to 4:00 p.m.
Cash & plastic accepted in main house. Cash only in basement and detached garage. Please do not block roads, nor neighbors’ drives. Violators will be ticketed or towed. OF THIS NORTHEAST OKC ESTATE SALE. Kenny will conduct a real estate auction in Tuttle this Saturday. CLICK HERE TO SEE PICS OF AND DETAILS ABOUT THIS TUTTLE LAND AUCTION. Saturday, 12 January, from 9:00 a.m. to 3:00 p.m.
(Numbers for orderly admission handed out from the front steps from 8:00 a.m.
Sunday, 13 January, from 11:00 a.m. to 3:00 p.m.
(Numbers for orderly admission handed out from the front steps from 10:00 a.m.
Monday, 14 January, from 9:00 a.m. to noon. No test drives on either car until 10:00 a.m. Saturday. $500.00 non-refundable cash earnest money required to hold either car until title transfer. the 2006 Lexus V8 GX470 features a four-wheel drive, and will be priced at $11,000.00. Title transfer will occur at noon on Tuesday, 15 January at Classen Tag Agency unless other arrangements have already been made with Matt. Customers will enter the sale through the front door, but will pay out in the detached garage and then exit the sale through the overhead garage door. Purchase items in the showcase in the basement and you’ll need to pay out first prior to picking up your showcase purchases. Staff does not wrap, haul, nor deliver. Please inspect your selections with care prior to purchase, as all sales will be absolute and final. We’ll have two O.K.C.P.D. officers on site; one will be stationed at the front door and one at the mouth of the detached garage. (Please remember that we press felony charges of larceny from a private home for any and all shoplifting. select items will not be on site until Saturday. This historic 1917 home itself will be for sale. (First Source Realty agent Marta McCubbin is the listing agent. OF THIS HERITAGE HILLS ESTATE SALE. Friday, 11 January, from 8:00 a.m. to 5:00 p.m.
Saturday, 12 January, from 8:00 a.m. to 5:00 p.m.
Sunday, 13 January, from 1:00 p.m. to 5:00 p.m.
CLICK HERE TO SEE PREVIEW PICS OF THIS MIDWEST CITY ESTATE SALE. Saturday, 1 December, from 9:00 a.m. to 3:00 p.m.
(Numbers for orderly admission handed out from 8:00 a.m.
per the order of their ticket numbers. Sunday, 2 December, from 11:00 a.m. to 3:00 p.m.
(Numbers for orderly admission handed out from 10:00 a.m.
on all coins, fine jewelry, firearms, and costume jewelry. No more than six customers at a time will be allowed into the comic book area. to pick up your bagged comic purchases. and Matt will be armed and sleeping on site each night until Saturday. We will have an Oklahoma City police officer on site throughout the sale. There will be no test drives on the car until 10:00 a.m. Saturday. please contact Matt at 820.2814 to obtain the name of the trust for your check. The car will be priced at $17,500.00. at Classen Tag Agency to transfer insurance and title. as some coin sets and comic books may have had their prices adjusted since photography. Please inspect your selections with care, as all sales will (as always) be absolute and final. Please do not touch others’ purchases on the “sold” tables up front. N.b. : A customer left a set of OU Final Four glasses and two Christopher Radko ornaments at the last sale. Are you that customer? If you are, please bring your paid receipt to claim these items. Matt will have these items held for you to pick up. THIS OKLAHOMA CITY ESTATE SALE. and Saturday (9 to 2). Please visit the bazaar and spend generously to help a much loved local charity. Sunday, 2 December, from 11:00 a.m. to 4:00 p.m.
as all sales will be final and absolute. OF THIS NORMAN ESTATE SALE. on the evening of Friday, 30 November. Saturday, 1 December, from 9:00 to 4:00 p.m.
will have the listing on this NW OKC home. OF THIS NW OKC ESTATE SALE. Friday, 30 November, from 9:00 a.m. to 4:00 p.m.
Saturday, 1 December, from 9:00 a.m. to 4:00 p.m.
OF THIS BETHANY ESTATE SALE. Kenny has lots of auctions coming up! CLICK HERE TO SEE PREVIEW PICS OF THIS NORMAN ESTATE SALE. Address now posted on the site linked above. McNeil Liquidations‘ next sale will be 1, 2, and 3 December. survivalist equipment; vintage magazines & newspapers; MUCH more. Brian will release the address for this south Quail Creek sale on Friday. Each buyer must be responsible for moving his or her purchases. CLICK HERE to see preview pics and other details. Don’t forget about Another Time Antiques and its annual Black Friday Open House! This special post-Thanksgiving event this year? Friday, 23 November, from 9:00 a.m. to 8:00 p.m.
survivalist equipment; vintage magazines & newspapers; much, MUCH more. Saturday, 17 November, from 9:00 a.m. to 3:00 p.m.
(Gates will open one hour prior to opening each day. Sunday, 18 November, from noon to 3:00 p.m.
Monday, 19 November, from 9:00 a.m. to 11:00 a.m.
will have the listing on this home. Thursday, 15 November, from 9:30 a.m. to 3:00 p.m.
Friday, 16 November, from 9:30 a.m. to 3:00 p.m.
Saturday, 17 November, from 9:30 a.m. to 1:00 p.m. Select items (e.g., sterling etc.) not on site until Thursday. Berkshire-Hathaway agent Sally Pricer will have the listing. Sunday, 18 November, from 10:00 a.m. to 2:00 p.m.
not on site until Saturday. are seeking to fill positions for a) a driver/job coach and b) a cashier. Both positions are hourly, yes, but both jobs come with insurance as a benefit. Call Bonnie at (405) 341-7132 to inquire. Saturday, 17 November, from 9:00 a.m. to 4:00 p.m.
OF THIS NW OKC SALE OF ANTIQUES & COLLECTIBLES. Friday, 16 November, from 9:00 a.m. to 4:00 p.m.
Sunday, 18 November, from 9:00 a.m. to 4:00 p.m.
CLICK HERE to see preview pics of this south Oklahoma City estate sale. McNeil Liquidations’ next sale will be 1, 2, and 3 December. and then a separate simulcast auction on Sunday, 11 November. for its fifty-third annual Western art sale and exhibition! firearms, exceptionally rare comic books, and MUCH more. Friday, 2 November, from 9:00 a.m. to 4:00 p.m.
Saturday, 3 November, from 9:00 a.m. to 4:00 p.m.
this weekend — one in OKC, and one in Del City. THE OKLAHOMA CITY ESTATE SALE. THE DEL CITY ESTATE SALE. at 7:00 p.m. at The Event Center (10 W. Main) in Yukon. Please purchase a ticket and attend. (This is McNeil Liquidations’ favorite local charity. Not in the mood to drive out to Yukon? this Saturday at The Civic Center Musical Hall at 8:00 p.m.
Get more information and purchase tickets by clicking HERE.